The colleagues, students, and friends of the Department of Physics and Astronomy pay tribute to Professor Shi-Yu Wu, a brilliant physicist and outstanding teacher, who was a faculty member from 1969-2014 and an emeritus professor from 2014-2017. Shi-Yu Wu passed away on May 20, 2017. 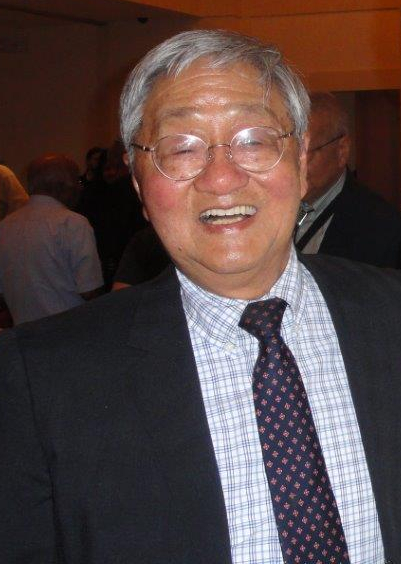 Shi-Yu Wu received his PhD in Physics from Cornell University in 1967 and was a Research Associate at Case Western University from 1967-1969 before he joined the University of Louisville as an Assistant Professor. He leaves behind a rich research legacy in the field of condensed matter physics, specifically in the sub-field of low-dimensional physics. As one of the pioneers in this field, he developed techniques for treating disordered systems, exact methods for solving block tri-diagonal resolvent matrices vis-à-vis real-space Green’s function calculations, a linear-scaling algorithm for large-scale electronic structure calculations, and a state-of-the-art semi-empirical Hamiltonian (e.g., a linear combination of atomic orbitals method with charge self-consistency and environment-dependency built into its framework) for efficient large-scale, multi-scale material simulations of complex materials. One of his research articles “Act Locally and Think Globally,” captures in a nutshell Shi-Yu’s scientific philosophy. He was a strong proponent of using real-space techniques and local descriptions for understanding macroscopic properties of complex materials with no or partial symmetry. His other bold scientific initiatives included developing techniques for understanding physical phenomena over longer length (nanometers) and time scales (picoseconds). He collaborated with colleagues from the Condensed Matter Physics team, faculty members from the Speed School of Engineering, and worked with colleagues across the country (University of North Carolina at Chapel Hill, Stanford University, MIT, Harvard, Case Western Reserve University, Virginia Tech, etc.) and abroad in Europe, Australia, China, and Taiwan. Shi-Yu had a unique flair for theoretical research but also a mind attuned to applied research. In later years, he actively collaborated with experimentalists and provided valuable insights into the interpretation of real physical phenomena, especially in understanding quantum transport in nanoscale systems. The most notable among these works is his collaborative research with Professor Dai’s research group at Stanford University, which resulted in an article in Nature (15 June 2000, 405, 769-772) that has received more than 1300 citations. For the consistent excellence of his work at the University of Louisville, he received a host of awards, including the Outstanding Scholarship, Research & Creativity Award in the Basic & Applied Sciences from the College of Arts and Sciences and the Career Achievement Award at the university level. At his retirement, he was appointed a Kentucky Colonel, the highest title of honor bestowed in the Commonwealth of Kentucky. 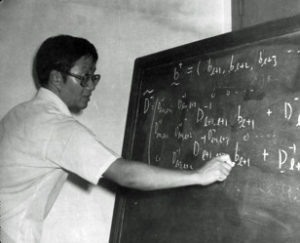 Students will remember Shi-Yu for his enthralling quantum mechanics lectures and for his unique teaching style, especially his seemingly spontaneous lectures. Colleagues will remember him for his research enthusiasm and generosity in sharing his scientific expertise. He trained generations of students, helping them to discover their true passion. He was also a true "professor's professor” who mentored several junior faculty members and shaped their professional careers. The trademark of Shi-Yu’s research philosophy, “Act Locally and Think Globally,” speaks to his scientific acumen—an original thinker and a trend setter, but, more importantly, this philosophy extended to other facets of his life. Shi-Yu strongly believed that inter-disciplinary exchange was important for the advancement of scientific knowledge and his office door was always open for a scientific discourse on wide-ranging topics. Likewise, his home was open for cross-cultural exchanges and he was a father figure to many overseas Chinese graduate students. Some less known facts about Shi-Yu include his involvement with humanitarian efforts, leading to the safe release of a prominent astrophysicist, Fang Lizhi, a Chinese political dissident held captive in the US Embassy. Subsequent to his release, Shi-Yu worked relentlessly to secure him a tenured faculty position. Shi-Yu was generous in everything he did and will be missed dearly by all who knew him. Words of sympathy may be left to the family at the website: bartonfuneral.com/2017/06/05/Shi-Yu-Wu. In remembrance, donations may be made either to the Professor Wu Lecture Series on Frontier Topics in Physics (G2589) or the Fred Hutchinson Cancer Research Center. For the seminar series, checks may be made directly out to the University of Louisville Advancement Services, 215 Central Avenue/Suite 300, Louisville, KY 40208 or you may donate here. For the Cancer research center, please go to fredhutch.org. For comments posted by alumni, please visit the department’s facebook page.